Fun fact: I get asked all the time about the pictures on this blog. While the aesthetic is completely my own, and I select each and every photo to include, often times I am not the actual photographer. In today's case, Crystal had professional headshots already, taken by the amazingly talented Kelly Lawson. I have talked about Kelly before, because she is the one who taught me to use my camera. I bought her online course, 'How to Use Your Fancy Camera' and its changed EVERYTHING about the quality of my photos. If you go through my Instagram feed, you will be able to tell (and you can probably pinpoint when it happened). I can't recommend the course enough, and encourage you to check it out. Seriously check out the link, she offers a ton of resources and information to get you started completely for free. 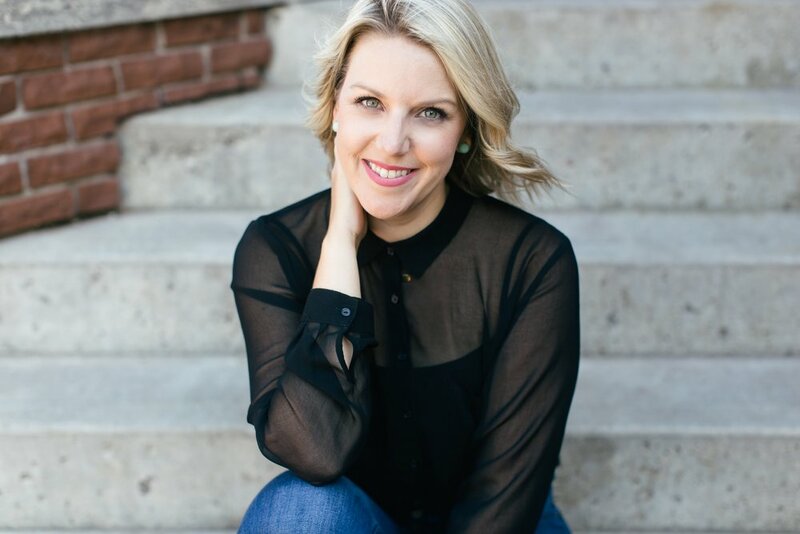 The next woman in the Ms New Brunswick lineup is Crystal Richard, who not only runs her own digital PR firm, Crystal Richard & Co., but is also the creator of the very popular local blog East Coast Mermaid. As if that weren't enough, last year she branched out into retail, and now also owns the Sandy Toes Shop, where you can buy cute clothes, earrings and beach accessories for the "mermaid or pirate in your life". I know that any one of these business ventures on its own could be a fulltime gig, but that's just how Crystal is. I knew Crystal's main job was in marketing, and I knew that she was self-employed, but beyond that I was really unclear on what it was that she does everyday. It turns out, I'm not the only one. Crystal has encountered many people who don't really understand the digital entrepreneur, but after our discussion I feel I have a good grasp on the idea. 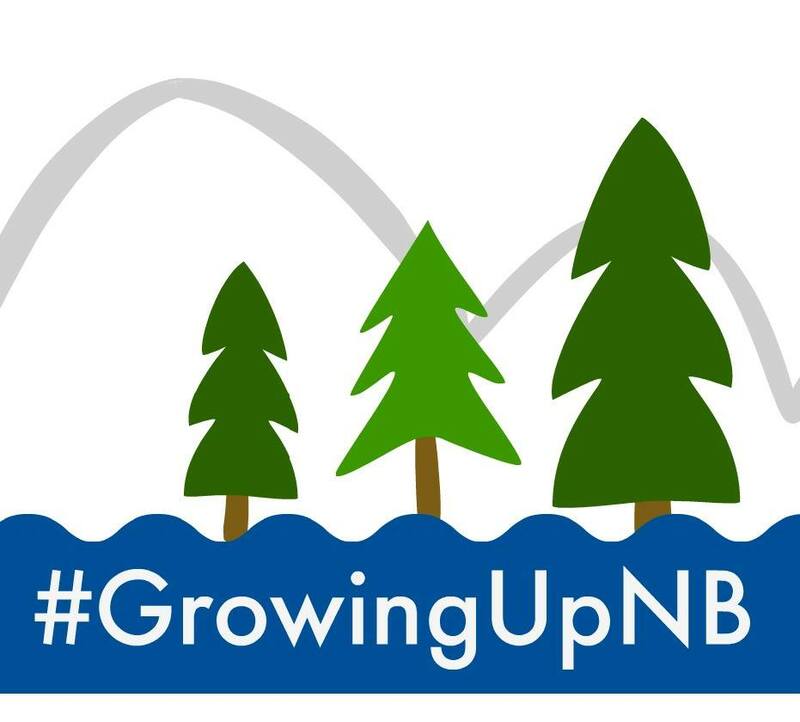 What's more, as we were talking, I came to think that digital entrepreneurship could be great for New Brunswick. Online, you are not limited to your local customer base - the world is literally your oyster. Don't take that to mean it's easy though; if you follow Crystal on Instagram for any length of time, you can see she works pretty much round the clock. Regardless, the idea of the digital business intrigues me, and I see opportunities in New Brunswick for more businesses like Crystal's. Well, I am a storyteller. I tell other people’s stories. I tell my own. Everything I do is about telling stories. Crystal Richard & Co. is my digital marketing company. I help startup businesses with everything from general marketing to media exposure, to social network management and education. I officially launched that business last year, but before that was working with a PR agency, so that is my background. East Coast Mermaid is my own personal lifestyle and travel blog, but it goes hand in hand with my PR business. The Sandy Toes Shop started sort of by accident when I made a tank top for my tribe – people that followed and engaged with me on my blog. I ordered 24 tank tops for the other mermaids in my life and they sold out immediately and I realized that I had stumbled into something. I started offering more styles, sizes and kinds of clothing, and I’ve never looked back. Now the shop is its own entity, and I’ve done pop up shops and booths at markets and it’s another way for me to engage with my community, and I love it. Ultimately, I left the agency life to pursue my own business, which I never thought would be something I would want to do. Out of nowhere I just had this idea in the back of my mind that I couldn’t shake. One day I called my boyfriend at work and told him that I was thinking about taking that step. He came home that night with a post-it note of a few people to call to help get me set up, and that’s really the beginning. Once I knew that the wheels were in motion and I was going to launch my own business, I started opening up to the people around me and they became this incredible support system for me. My parents told me, “I knew this day would come” and my boyfriend has not only been encouraging, but has helped since the beginning. So your main job is your PR business, Crystal Richard & Co.? Yes. Crystal Richard & Co. is my main source of income, and the other two are labours of love, but really everything works together. The blog is so complementary to my business and I love to watch it grow. It’s tied to my PR business, because ultimately I am the business, and through the blog people can get a glimpse of me as the brand. The blog has actually even gotten me clients for PR work. I have had people that have felt reassured in my work because they have checked out my blog. It’s also really helpful in many ways, because a lot of the companies I work with want to work with bloggers and I have a unique opportunity to facilitate those relationships, and explain to new companies how to work with bloggers and influencers. So far, I have gotten every client by word of mouth. I haven’t done any inbound marketing for myself yet, and I’ve been fortunate enough to have had a full client roster since almost the beginning. What I do is really very unique - the concept of start up PR is still not widely known, so there aren’t a lot of other people out there doing what I am doing. Tech entrepreneurs, for example, are actually a small community so my name might get tossed around if a client of mine is talking to another company looking for someone in PR. I get a lot of clients that way. 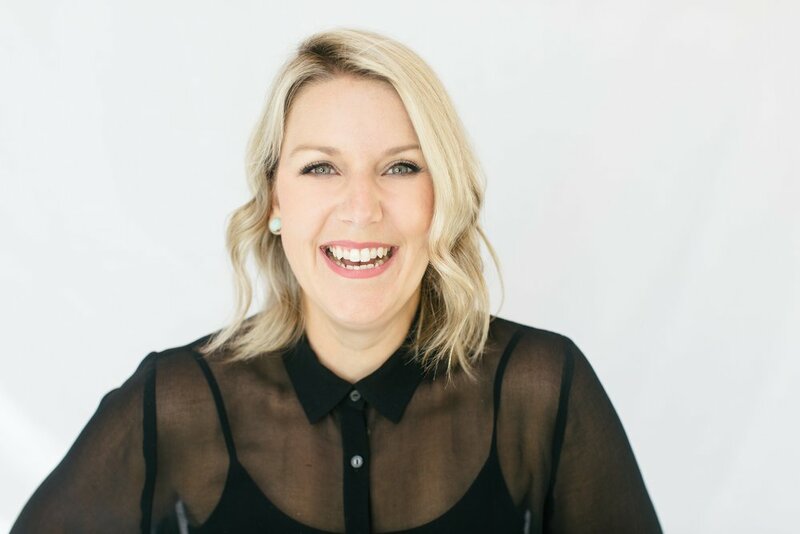 I also had the advantage of not being new to the industry – I had already forged many connections when I branched out onto my own, and they were all very supportive and sent me referrals at the beginning. The online and digital entrepreneur community that I work in has been incredibly supportive. Locally, sometimes I encounter people that don’t understand what I do, or are surprised by the amount of business I do. In many ways the idea of digital entrepreneurship is still mysterious to people, and because a lot of what I do happens online, and most of my clients aren’t local, it isn’t always obvious right away that I am doing something really cool here. How can your local community support you better? I think that there should be more awareness, recruitment and recognition for digital businesses here. This past year I was nominated for a Moncton Chamber of Commerce award, and one thing that I noticed going through that process was that there is a lot of misunderstanding about the validity of digital entrepreneurship. I also felt that the incentives to join local business networks and communities need to reflect the changing landscape of business. I don’t need a discount for scanning/copying services at my local printing place, so that’s not an incentive for me or anyone else with a digital business to join a business network in my area. On a larger scale, I think that the province could capitalize on understanding and promoting the validity of the digital entrepreneur, because the money I earn here, I spend here. My clients aren’t local, but I am. I’d love to see more recognition for businesses that are adding to the local economy even if the business we are doing isn’t necessarily based here. I think it would have to be the changing digital PR landscape. The days of pitching a really great story to a publication is gone. Publications are experiencing budget cuts right now, so they are understaffed and pressed for time, which means it can be difficult to get their attention. There is also, sadly, a lot of “pay for play” going on now in the types of publications that used to scout out really great content. Instead of showcasing something they organically found that is a great story, you now can buy a feature for your client (or yourself), which most startups can't afford, and which also feels disingenuous. All these things mean that I constantly have to be thinking about new ways to give my clients what they need. I had to diversify my offerings and think of new ways to market businesses. I also changed the range of services I offer to have broader appeal: things like thought-leadership, Instagram and social media management, etc etc. I am trying to keep up with those changes and make sure I offer a variety of services that will allow me to be in business for a long time. The one thing you can’t do is get comfortable where you’re at. Google Calendar. It sounds like a joke, but I plan everything and that has made a huge difference for me. I suffered from burnout and got shingles at 32 so I take self-care very seriously. I schedule everything – including personal time with friends and family. For me, if I schedule it, I do it. If it’s going to the gym, getting on a work call or taking an hour to have a bath. I also take one weekend a month “off” to do nothing. Another thing I do is use physical planners, and I love them. A favorite of mine is The Desire Map Planner by Danielle LaPorte. It’s actually helped me make important business decisions. I recently found myself in a situation where I was working with a client that was a bad fit. That day in my planner there was a quote that said “a no makes way for a yes”. It gave me the confidence I needed to part ways with that client and the very next day, I was approached by and signed a contract with my dream client. If you want it bad enough you will figure it out and make it happen. I believe that if you put things out into the universe and you meet it halfway it will come to you. As woo-ey as that is, I truly believe in that in my bones. I really live my life that way. Another thing I would encourage someone to do is to practice gratitude. I think that it changes your mindset. Reflecting on what you do is so incredibly important, especially during those tough times when you feel like everything is going wrong – if you mindfully look back at all the good things, it can be really motivating. I also would say to trust that the money will come – if you have a passion for something, and you’re willing to work for it, I really believe that the money will follow. I was ready to do anything to make going out on my own work, and had even decided to wait tables again (like I did in University) to make ends meet while I got things going. I didn’t need to, in the end, but I think it’s important to be prepared for the possibility that success could come slowly. I was expecting that, and I was willing and prepared to do anything and everything in the meantime to support my business. For your PR needs you can email me at crystal@crystalrichard.com or find me on Facebook. You can visit the East Coast Mermaid blog at www.eastcoastmermaid.com or connect with the Mermaid tribe on Facebook or Instagram. 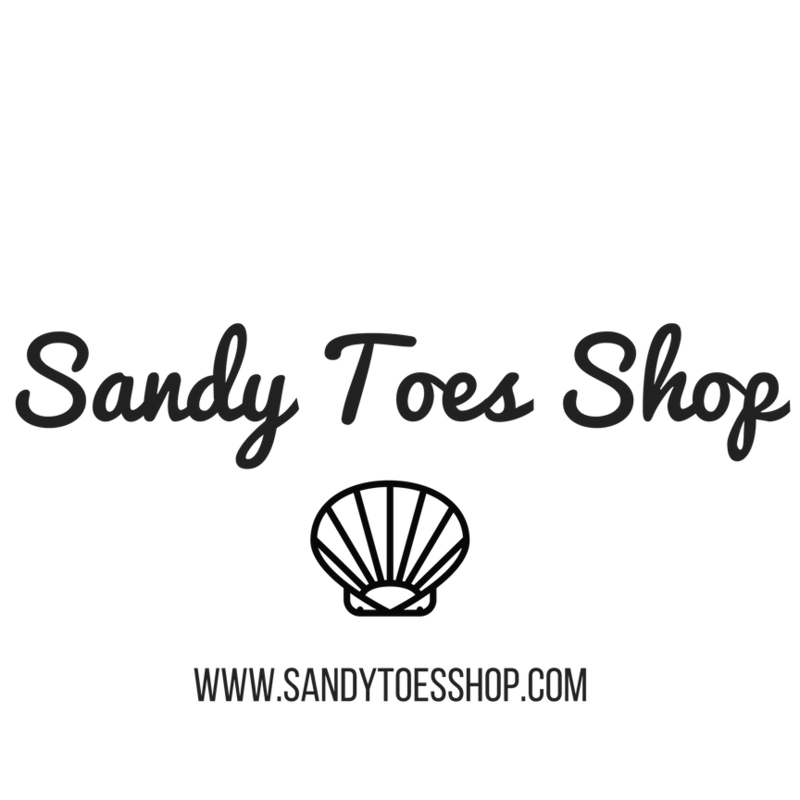 To track down the Sandy Toes Shop, head over to www.sandytoesshop.com and follow us on Facebook & Instagram as well! During our conversation, Crystal quickly mentioned how it has become really common for her to meet up with people in her area to let them bounce some ideas off of her. After some digging, I was able to piece together that Crystal lends her talents and skills to those around her who may need the help from an experienced marketing professional. She devotes time and energy each month to meeting up with locals who otherwise couldn't afford her services and lets them pick her brain for free. This really resonated with me, because for the majority of our conversation, I was in awe of how she managed her crazy schedule. It's amazing to watch people use their own success to turn around and lift up their neighbours, and Crystal is doing just that. Even with her insanely busy schedule, she finds the time. When she says that she believes what you put out into the universe is what you get back, she means it. And she puts her money where her mouth is, so to speak, by offering her time, energy and expertise to those around her who otherwise wouldn't be able to afford it. How many people running successful businesses can look back and pinpoint a time where they received the right help at the exact right time? I hear it all the time from the women I interview - they can always trace the beginning of their journey back to some unexpected support they got, some words of encouragement, or some amazing advice they received. How many people will look back in a few years and see Crystal? How many will see you?